In this exclusive interview, Treyarch's David Vonderhaar answers the community's burning questions about Call of Duty's battle royale. Treyarch's Jason Bundell explains why now is a great time to start a brand new storyline for the series' ambitious zombies mode. Treyarch gives a behind-the-scenes tour of one of Call of Duty's new and most interesting multiplayer maps. What Happened To Call Of Duty: Black Ops 4's Campaign? In this exclusive interview, Treyarch's co-studio head and design director talk about the unpredictable reality of game development. 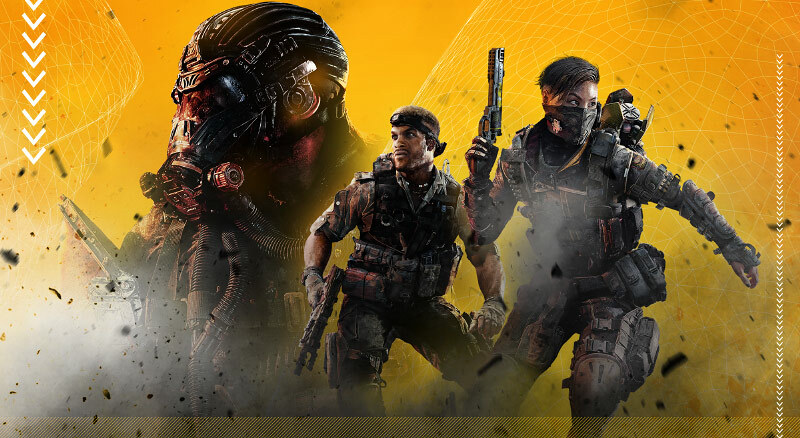 The developer talks in vague, but promising terms about what to expect for Blackout after it launches. In this exclusive interview, Treyarch talks about the similarities between building the lore behind zombies and Blackout. The developer breaks down the elements of its free-for-all Black Ops theme park. Learn the full history of how watching PUBG's phenomenon sparked the creation of Call of Duty's Blackout battle royale. We've played hours of Call of Duty's battle royale and are excited to share our full thoughts with you. Here are some powers to help you in a pinch in Blackout. Here’s how to get involved in (or be victim of) the vehicular carnage of Black Ops 4’s battle royale mode. Here’s how and why the undead are coming to Call Of Duty’s battle royale mode. Treyarch's David Vonderhaar answers as many questions as possible about Black Ops 4's battle royale mode. Opportunities on land, sea, and air await. The undead will help or hinder your bid for power. It’s not quite 100 players…yet, anyway. Join us for an in-depth look at Treyarch's take on battle royale. We went hands on for hours with the bold new game mode that's poised to shake up a genre.